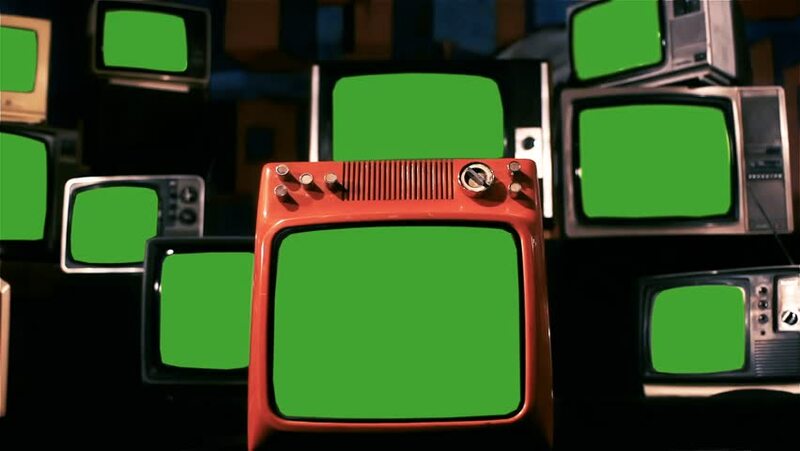 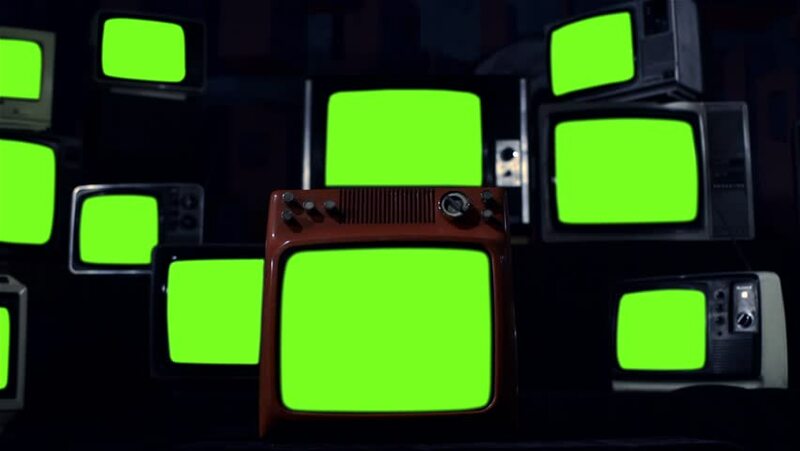 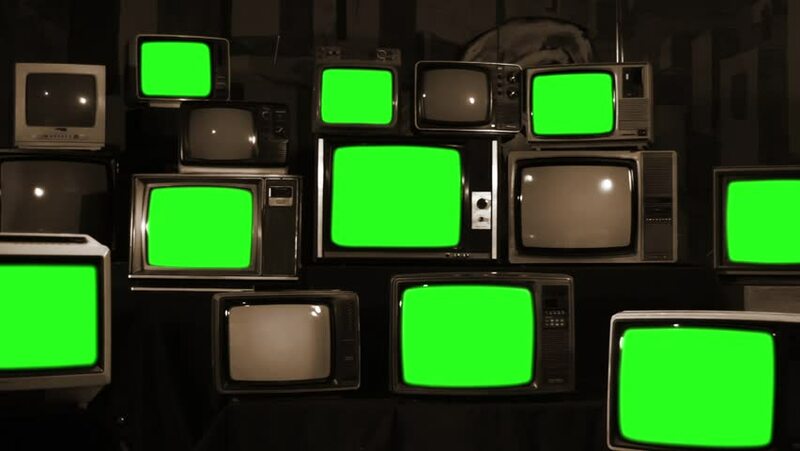 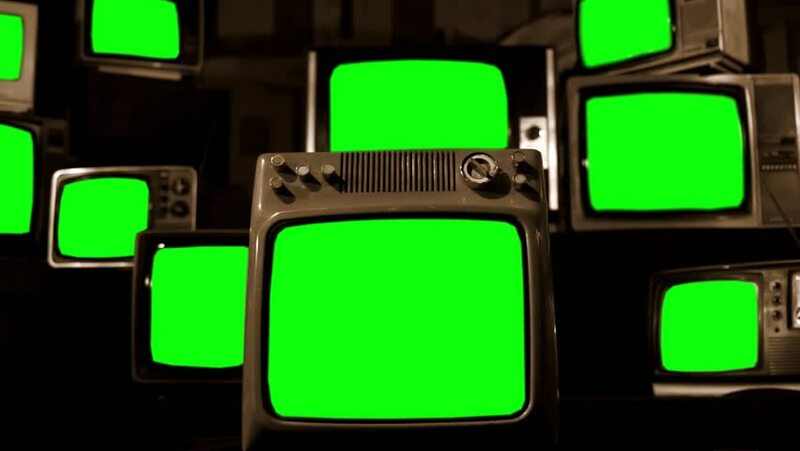 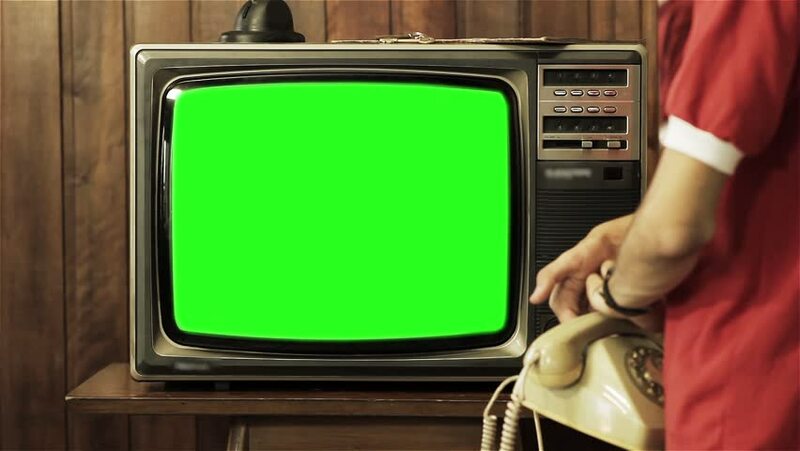 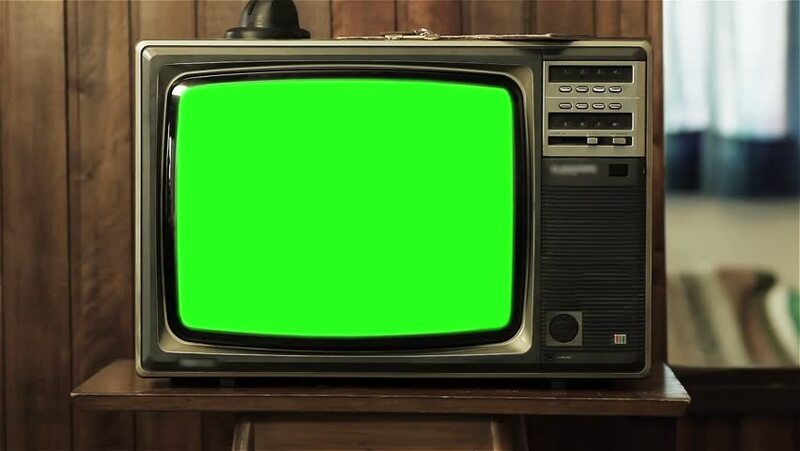 Vintage TVs Green Screen. Sepia Tone. Zoom In. 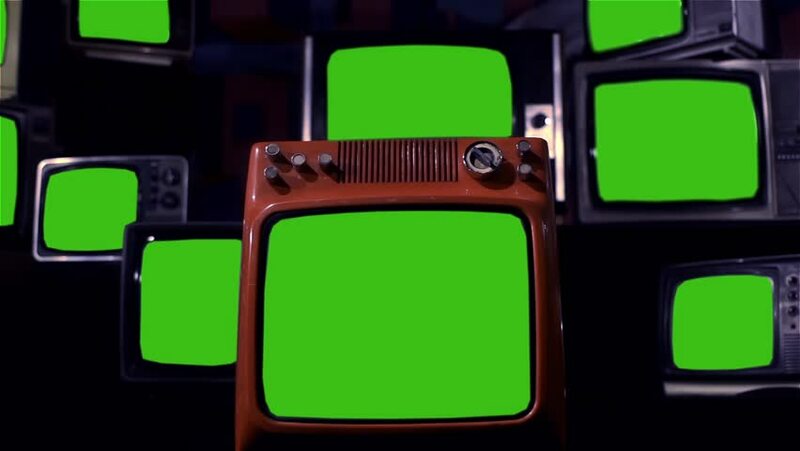 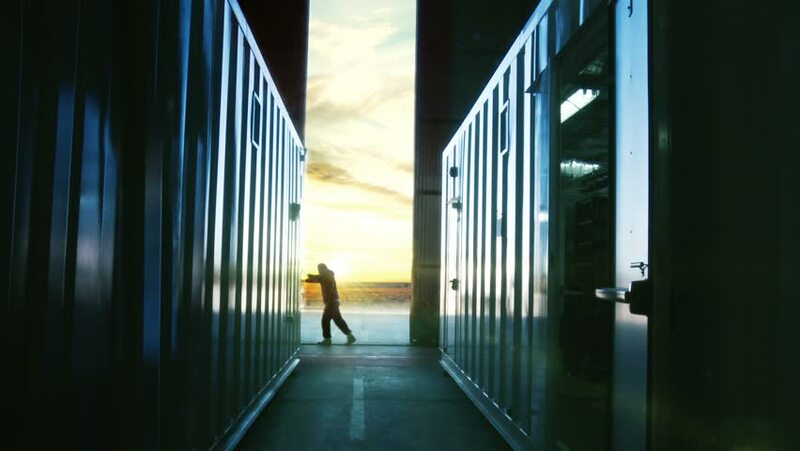 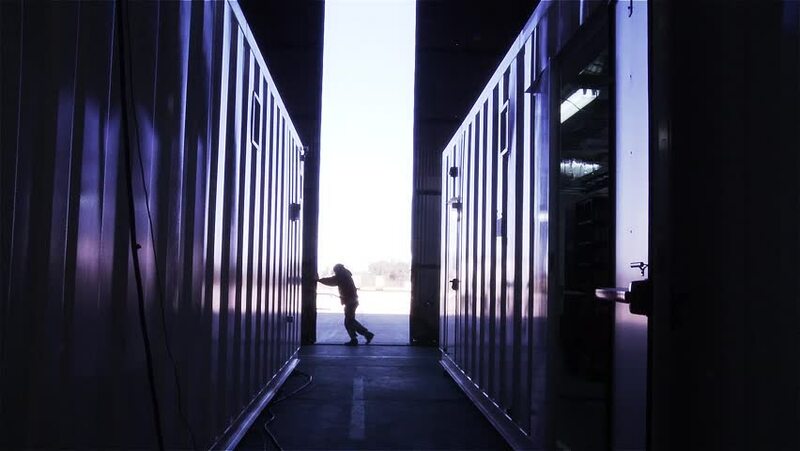 You can Replace Green Screen with the Footage or Picture you Want with “Keying” Effect (Check out Tutorials on YouTube).